Photo Transfer App – one of the very best and most useful photos apps for the iPad – has been updated again, to Version 4.2. The big new addition in this update is support for Dropbox, Flickr, and Google Drive, available as plugins via In-App purchase. The plugin for each individual service can be bought for $0.99; and all three can be purchased for $1.99. 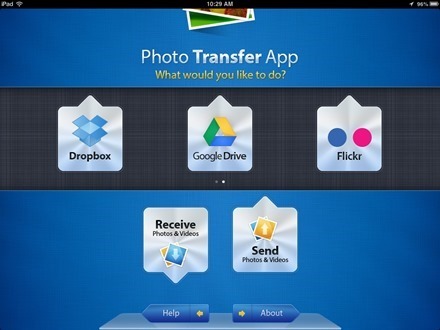 Adding the plugins allows you to upload and download from Dropbox, Flickr, and Google Drive with Photo Transfer App acting as middleman. As in, when you choose to download via the app images will end up in your Camera Roll and any specific album you choose; and when you upload you’ll be pulling from the built-in photo library. 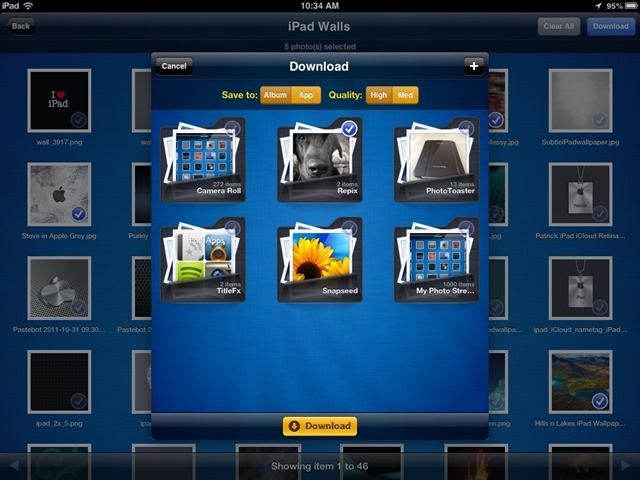 Photo Transfer App is one of my most used apps on the iPad. It’s super fast, easy to use, and always handy for transferring photos quickly between my iOS devices, to and from my Mac, and even cross-platform to my Android smartphone. I included it in our list of the Best iPad Apps of 2012. 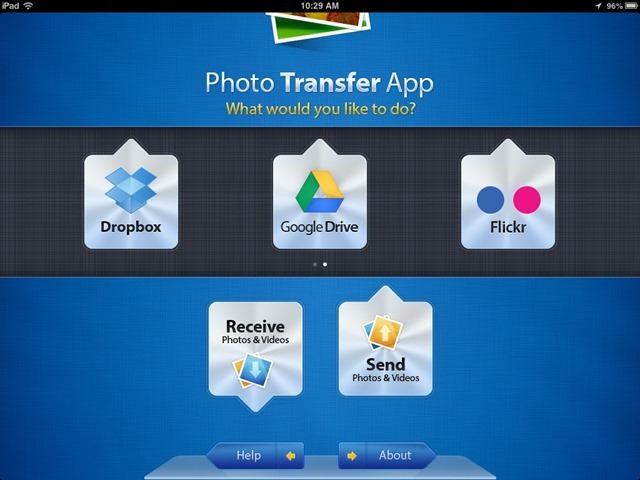 Here’s an App Store link for Photo Transfer App; it’s priced at $2.99.